Jack O’neill’s paddle out. Credit: Larson Aerial Media. It may seem counterintuitive to some, but working as a palliative care physician has some unique rewards. It is difficult work, breaking life-changing news and having very emotionally charged conversations with patients and their families. But the rewards lie in the process of walking through those tough times. We get to know what really matters to our patients, what is most important and what quality of life means to them. Then the challenge of matching the medical treatments to support those things. Palliative care is not just for the imminently dying. I think Dr Diane Meier says it best: “Hospice is a form of palliative care for people who are dying, but palliative care is not about dying. It’s about living as well as you can for as long as you can”. One of the more satisfying parts of doing this work is getting in to what might be on the “bucket list”. Surfers probably have special bucket lists. Dr. “Mr Bill” Jones wants to surf giant Nazare, which would undoubtedly be his last ride too. I would hope Kelly Slater would grant me a “make a wish” for a day at his Surf Ranch and endless tube rides. Inevitably, the bucket list conversation segues into memorial and funeral preferences. I’ve heard some pretty interesting ideas when it comes to memorials. One guy wanted to divide up his cremated remains into small parts and have it made into jewelry so he could spread himself around to friends and family around the country. Another was a professional diver who devised a way to mix his ashes with concrete so he could be placed on the ocean floor and become a reef. Hunter S. Thompson wanted his remains blasted into space in the nose of a rocket, but I think he got shot out of a cannon instead. Surfers have the paddle out ceremony. It’s hard to find a place much farther from surf than Bozeman, Montana, but despite that, most people here are familiar with the connection between surfers and the paddle out. Our hospice had a patient that moved to Bozeman after growing up surfing in Southern California. Even though he had lived in Bozeman for decades, he made it clear in his end of life planning that he desired a paddle out memorial. After he died, his cremated remains were taken back to California and a dozen friends and family fulfilled his wish. This event really sparked my curiosity on the origins of the paddle out ceremony and how it got the association with surfing. The paddle out ceremony can range from humble, family gatherings to a huge circus-like atmosphere. 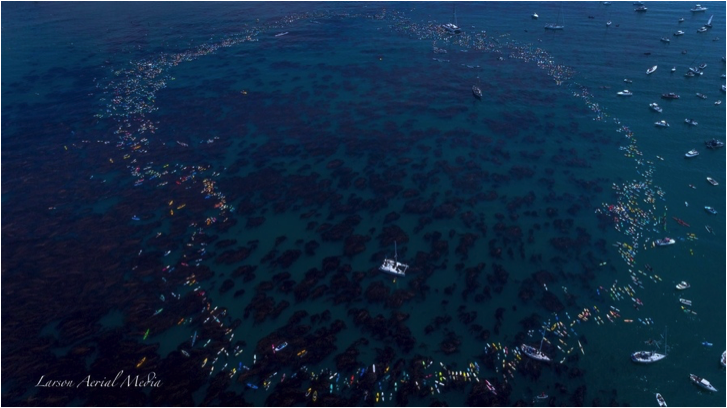 The paddle out for Jack O’neill involved thousands of people in Santa Cruz. There were paddle outs on multiple continents for Andy Irons. These events may have a spiritual aspect emphasized, but not always. The traditional Hawaiian paddle out has a bit more of a formal protocol. It starts with the Kahuna calling in the spirits and blowing on a conch shell that has been blessed in the ocean. Then ocean water is brought to the family and the ashes of the deceased are blessed with wet ti leaves. As the ti leaves touch those family and friends it passes the mana, or spirit, of the deceased to all. A conch is blown again and the ashes are wrapped in ti leaves with a sinking stone. The surfers then stand on the beach facing the water while banging on their boards with a warrior like chant. Everyone then paddles out into the water, with family frequently in a boat. A circle is formed and stories are told and prayers said. Ashes are placed in the water while the mourners splash the water, throw flowers and leis and cheer. Sometimes an animal or a wave may make an appearance that signifies the presence of the spirit of the deceased. After Brock Little’s paddle out an entire swell came which was aptly named “Brock’s swell”. This sure sounds like it is based in ancient tribal origins doesn’t it? It turns out, probably not. 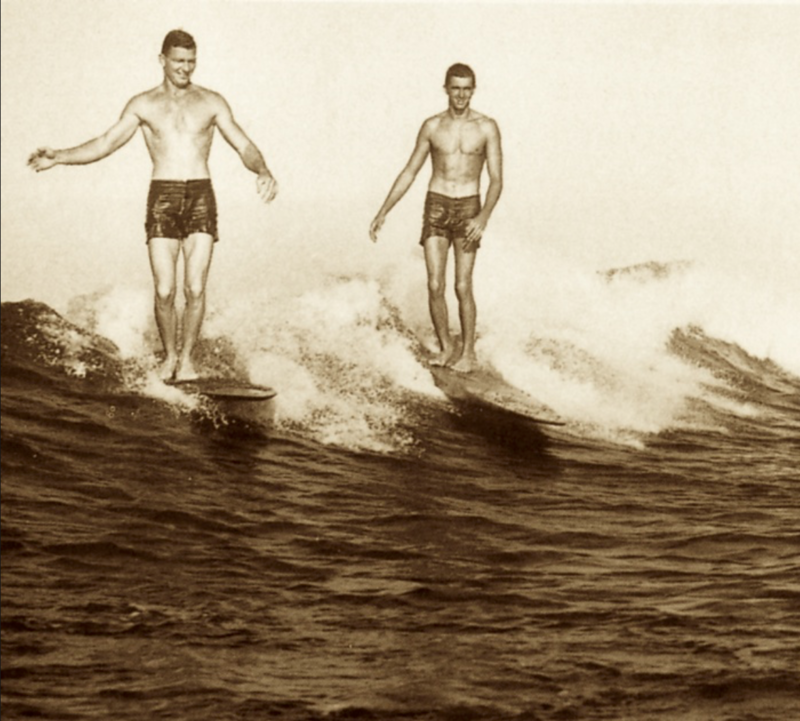 There is not much in the way of recorded history, but the first reports of paddle out ceremonies are from the early 20th century in Waikiki, Oahu. 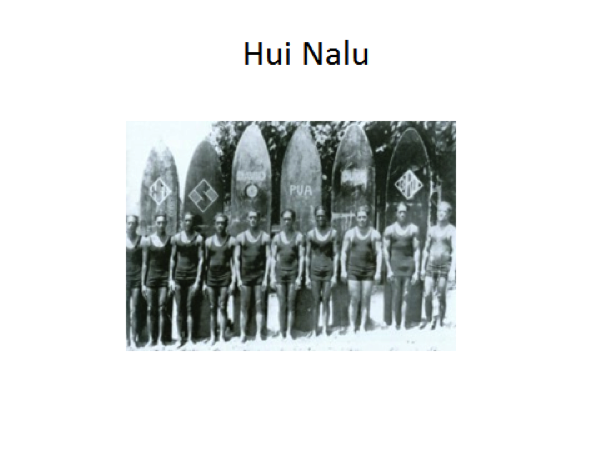 Hotels such as the Moana and Royal Hawaiian recruited surfers from the Hui Nalu to teach tourists how to surf and canoe. These surfers became known as the “Beach Boys of Waikiki” whose notable members included Chick Daniels, Turkey Love and Rabbit Kekai. Wally Froiseth, who died in 2015 at the age of 95, spent his youth surfing in Waikiki and was a big wave pioneer. He attended his first paddle out ceremony at the age of 6. In an interview with the New York Times he told them “I don’t know of any place that did it before Waikiki”. In the 50’s surfing really increased in popularity, thanks to Gidget, and along with it came surfing culture and customs, including the paddle out. Now, paddle outs happen in waters all over the world. Is there anything about this based in ancient Hawaiian customs? To explore this I looked through articles and books on pre contact Hawaiian funerary practices. It turns out the ancient Hawaiians used many different forms of internment practices. Cave burials are well described and usually reserved for the elite. Monuments were sometimes used, such as with King Kamehameha. Cremation was mostly used as form of punishment. Sacrifices took place at a Heiau, sacred sites that can be seen throughout the islands. By far the most common practice was earth burial. A well described ritual was followed during an earth burial. If the deceased died in the family home, the body and home was felt to be “unclean” and any non- family members were not allowed in the house. There was a waiting period of 3-10 days before burial. During this time the family could embalm the remains with salt, or place salt in the naval. Prior to burial the body would have a rope tied behind legs and neck in order to draw the knees to the chest. The body was then wrapped in “kapa”, which is a paper like cloth frequently decorated with intricate and beautiful designs. The funeral ceremony took place at night and burial in the morning. Post burial participants then washed and were purified by the Kahuna pule heiau. After that they were clean and able to re-enter society. Evidence for paddle out ceremonies in pre-contact Hawaiian society is lacking. This seems to be an invention of modern surfers for their fellow tribemates. The practice has certainly increased in popularity around the globe and is no longer limited to just surfers, but any adventurous and loved waterman or waterwoman. It makes sense. Surfing for most of us is not just an activity, but brings with it a deep connection to nature and a significant enhancement to life. Because of this surfers the world over have their own shared language, etiquette and customs culminating in the final farewell with one last paddle out.